A reminder that Laura van Dernoot Lipsky, clinical social worker, will present her workshop “An Everyday Guide to Caring for Self While Caring for Others” on Jan. 9. Thanks to a generous donor, any gift to CMHC between now and Jan. 28 will be matched 1-to-1, doubling the impact of the gift. CMHC Director Chris Brownson and four students are featured in a promotional video for this fundraising campaign. CMHC will host the annual Texas University and College Counseling Centers Conference (TUCCCC) on Feb. 6 — 7 at the Student Activity Center. Mark Zentner chaired the conference planning committee with significant contributions made by CMHC members Javier Ungo, Mona Ghosheh and Matthew Olson. Blake Grugett of University Health Services designed the website for the event. During the holidays, CMHC “adopted” six children from Child Protective Services’ (CPS) Partnerships for Children. 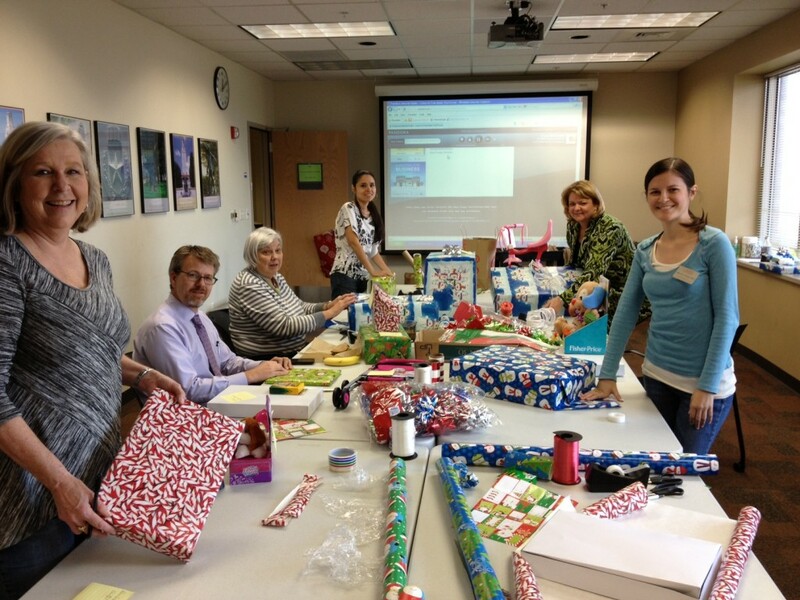 Each child submitted three wishes for gifts and then CMHC spent a lunch hour together wrapping the gifts. It was a very fun and rewarding time for all involved. Partnerships for Children provides critical resources to abused and neglected children in our community who are in CPS care. Beginning in the fall of 2014, we’ll partner with the International Office to host the International Housing Community in a portion of Whitis Court. Students with a housing contract will be able to apply to be a part of this community. The International Office will review the applications. Kinsolving Dining, Jester City Limits, J2 and Littlefield Patio Café will join Cypress Bend and J2 VIP in participating in Meatless Mondays starting this month. We invite you to try featured vegetarian and vegan dishes at each location as we move meatless options to the forefront. 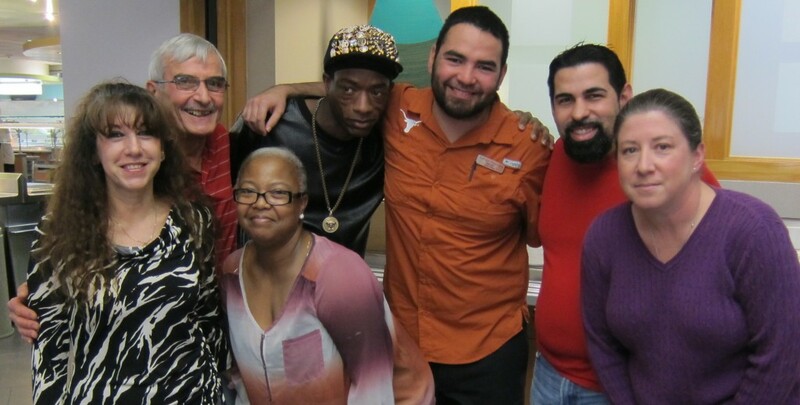 We celebrated the end of a successful Fall 2013 with a winter luncheon held at Kinsolving Dining. Employees feasted on Holiday comfort foods and inventive desserts from the annual employee baking contest. We held Spring Orientation on Jan. 6, welcoming the newest group of students to the 40 Acres. We’re partnering with Student Activities in the Office of the Dean of Students to host the second annual Spring Student Organization Fair on Wednesday, Jan. 15 in the Student Activity Center Ballroom. Student Activities held a full day Policy Training Workshop on Dec. 9. Participants from departments across the university learned more about institutional rules as they apply to registered and sponsored student organizations, the use of campus space, solicitation, co-sponsorship, travel and other issues. We coordinated with the Office of the Vice President of Legal Affairs and the University of Texas Police Department to make sure the conversation included all those valuable perspectives. Student Emergency Services (SES) is proud to announce a new partnership with Austin Energy’s Financial Support Plus 1 Program. The Plus 1 Program helps customers who are having financial difficulties and are unable to pay their utility bill due to unexpected emergencies. As a Plus 1 partner, UT Austin students are now eligible to apply for financial assistance through SES. We helped give students a little extra boost during finals by offering free cups of coffee, snacks and study tips. We joined the Songs of the Season fun once again by providing hot chocolate and good spirit for all those who came out to share their voices and help get campus in the holiday spirit. See the photos. We took part in True Colors® certification training along with representatives from across the Division. True Colors® is a personality identification model used to foster healthy, productive relationships. Everyone within the Division will have an opportunity to learn their True Colors® in the months ahead. 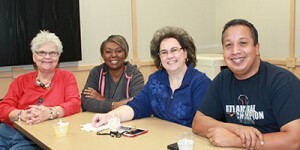 A special thanks to the University Unions staff for taking such good care of us over the three-day certification. Check out the Standouts page to learn who have become our newly certified trainers. See the photos. We had a wonderful day marking the holidays and another great semester with Division staff at the annual Student Affairs Holiday Celebration. Thanks to all who came out. 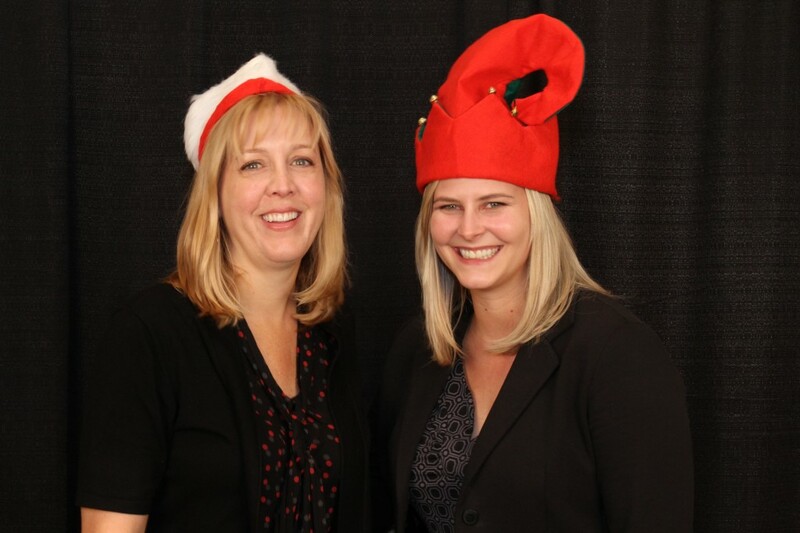 Even if you missed it, you can still enjoy the candid photos and the holiday hat photo booth. Gage Paine emceed Songs of the Season again this year on Dec. 6. Students from the Butler School of Music and others just joining in sang carols in the Main Building to get everyone in the holiday spirit. Orange Santa even made an appearance to collect donated toys for area children. Check out the photos. Joshua Cook helped coordinate a feature on 17 impressive UT Austin undergraduate students by Business Insider that reached over 330,000 readers. Take a look at the story here. Last month’s Bastrop Tree Planting service learning initiative was directed by Chris Burnett, senior assistant director of outdoor recreation and community outreach. The event was a huge success and a great effort toward rebuilding this fire-ravaged area. RecSports collaborated with the Campus Environmental Center, the Orange Jackets, Horns Helping Horns and Tree Folks to plant 3,150 Loblolly Pines in 27-degree wind chill and light rain. The December Help the Homeless service learning initiative was also a great success. More than 700 breakfast tacos were prepared and delivered to the homeless community, along with over 500 t-shirts and 85 pairs of shoes donated by Victory @ Gregory Gym. Check out the photos. We hosted a festive breakfast and program for an alumni group called the Early Birds. Back in 1961, this all-male group formed an early morning exercise group and members visit RecSports each year. The event was organized by Bob Childress, senior assistant director of constituent relations, and Dominique Alcala, program coordinator for development events. Jonathan Elliott, assistant director for sport clubs, managed the Sport Club Program’s canned food drive in December to benefit the Capital Area Food Bank of Texas. The effort exceeded its goal of 2,000 cans by collecting 2,320 canned goods, besting Texas A&M’s collection. See the photos. Texas Parents launched the Spring 2014 Texas Parents Student Services Endowment Brick Paver campaign. The initiative encourages parents to make a gift to the endowment while honoring their students with a brick paver to be laid at the Student Services Building entry. Get more information. Texas Parents is now accepting applications for the Spring 2014 Student Enrichment Awards from registered student organizations and departments within the Division of Student Affairs. We are looking for projects that will create a meaningful, safe and rewarding service experience for UT Austin students in the university and/or Austin community. Learn the details. Jalah Goette has resigned as director of Texas Student Media. Her final day will be Jan. 17. Please mark your calendars for the grand opening of our offices at Bellmont Hall on Friday, Feb. 21 at 2 p.m.
UHS staff enjoyed a productive, engaging staff development day and holiday luncheon on Wednesday, Dec. 18. The clinical staff hosted Jennifer Hammat from the Office of the Vice President for Student Affairs to discuss Title IX and Laura Dannenmaier of CMHC’s Voices against Violence to review resources available to sexual assault survivors. Dr. Nancy Daley, adjunct faculty in the College of Education, then presented “This Generation’s Approach to Sexuality.” Administrative support staff enjoyed presentations on conflict resolution, team building, leadership and motivation. In celebration of the holiday season, winter break and the end of the year, we gathered for our annual white elephant gift/ornament exchange party on Dec. 12. UHS senior staff hosted new UT Police Department Chief David Carter on Wednesday, Nov. 18 for a welcome lunch and facility tour. To succinctly communicate the impact that UHS has on the success of our students, we created a UHS Impact Statement. This annual infographic report highlights our clinical and health promotion accomplishments, academic and departmental collaborations, patient satisfaction scores and other useful information. On Friday, Dec. 13, the staff of the University Unions met to wish Andy Smith a fond farewell after his 27 years of service to the organization. 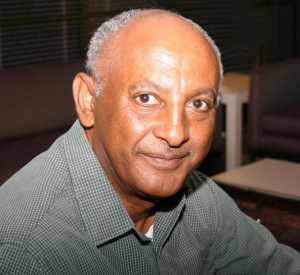 We are pleased to welcome our new executive director, Mulugeta Ferede. He joins us from the University of Illinois – Urbana-Champagne where he was the senior associate director of the Illini Union. Mulu’s first day will be Jan. 21. Please help us make him feel welcome at UT Austin. We served as the location for 67 events in the fall semester, up 59 percent from fall 2012. We’re gearing up for a busy and exciting Spring events season. Stay tuned to the Hogg Blogg for event recaps. Santa visited the SAC during the holidays and had his photo taken with students, faculty and staff. See photos here. We hosted Ace the Test Fest, providing students with open rooms for studying in preparation for finals and a midnight pancake breakfast. We had a very busy fall semester with more than 2,500 events in the building, an 11 percent increase over Fall 2012. E+E produced 64 events in fall 2013 for a total of 12,950 attendees. The Events Co-Sponsorship Board also provided funding to 24 registered student organizations this past fall. 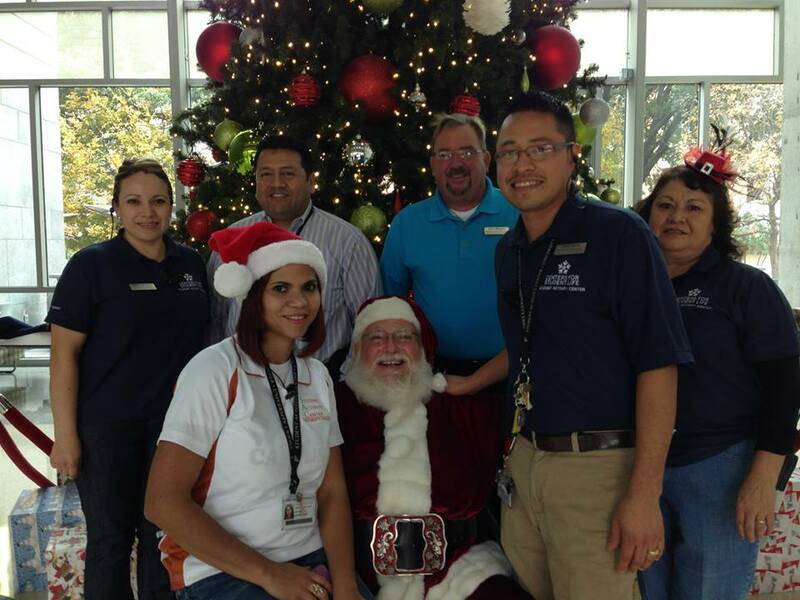 Santa visited the Texas Union during the holidays to visit with our students, faculty and staff. The photos are available on our Facebook page.